Quiet and yet very fast in the city or at the airport: Bramfeld is a good bourgeois district framed by Winterhude, Barmbek and Wandsbek. Good transport links and enough parking space are provided. Charming 1 - 3 room apartments are looking forward to you! The apartments in the Soltaus Allee 6 vary between 27 and 73 square meters. Each is individually furnished, all bright, parquet and most with a balcony, terrace or loggia. Apartments are available between 800 € and 1,500 €. 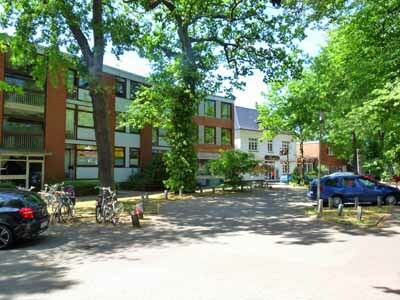 Looking for an apartment in Winterhude? The 33 sqm 1-room apartment in Großheidestr. 11 offers much: 2 balconies, tranquility, nightlife (5 minutes), transport links, city park and is close to an Alsterkanal (channel of river Alster) and only three minutes walk to the Alster City. The 25 sq.m. ground floor apartment is located close to Hagenbecks Tierpark (zoo).